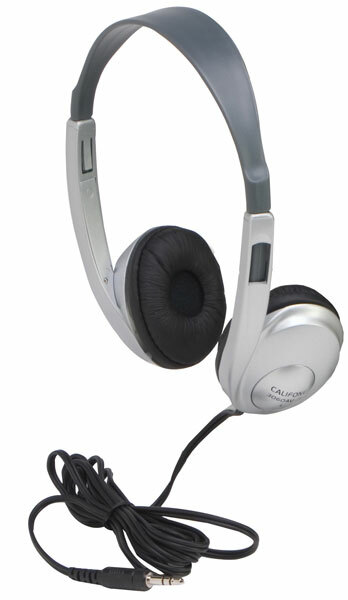 The Califone 3060AVS stereo headphone are perfect for today's classrooms, computer labs, and libraries. These headphones feature a fully-adjustable headband, ambient noise reducing earcups, and an durable, reinforced 3.5mm mini cord that connects to media players and computers. The 6ft straight cord resists tangling with other cords, is long enough to reach the rear of a computer, and has reinforced connections to resist accidental pull-out. Comfortable leatherette ear cushions ensure long-lasting comfort throughout the school day.